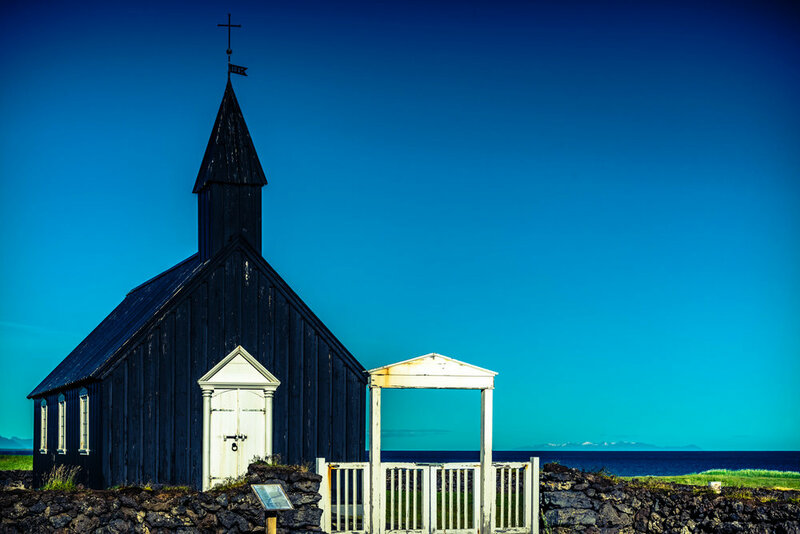 On the south coast of the Snæfellsnes peninsula there is a tiny village called Budir with one of my favorite Icelandic sites, the black Búðakirkja church. Originally built in 1703, but reconstructed in 1987, it is located on some of the most spectacular moss-covered lava fields on the island. The sense of peace and quiet is as fantastic as was the beautiful afternoon I spent there. The church is surrounded by immense mountain ranges, coastlines, and glaciers, while It’s black finish only adds to the it’s amazing mystique.